Antibiotics were developed in the 1940s. Then, they were hailed as a huge breakthrough in the treatment of bacterial infections. Today, they are the most commonly prescribed drugs worldwide. But massive over-prescription of antibiotics has created its own problems. The advent of antibiotic-resistant organisms – or ‘superbugs’ – has led more and more people to demand alternatives. 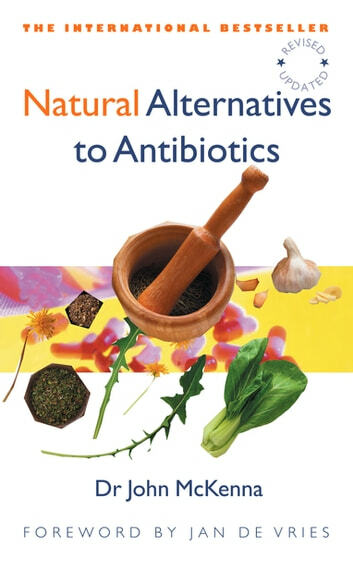 Natural Alternatives to Antibiotics is a revised and updated version of Dr John McKenna’s international bestseller Alternatives to Antibiotics. First published in 1996 and translated into 16 languages, Alternatives to Antibiotics explains in simple, jargon-free language the variety of alternatives to antibiotics in treating infections. Dr McKenna compares conventional medicine and alternative medical approaches, highlighting the benefits and drawbacks of both. In Natural Alternatives to Antibiotics, Dr McKenna looks at the various strains of infections which have become resistant since his international bestseller Alternatives to Antibiotics was published. Dr McKenna has expanded his sections on alternative, herbal, homeopathic and nutritional medicines, and shows directly that it is still possible to treat infections without antibiotics while still acknowledging the times that they may be necessary. Natural Remedies for Asthma: Home Self Help Asthma Remedies Really Works! Herbal Remedies for Glowing Skin Natural Home Remedies You Can’t Afford to Know!